Chin’s Chen Long and Spain’s Carolina Marin are gunning for their fourth majors titles in a row at the BWF world badminton championships starting Monday in Glasgow. Both stars turn up in Scotland after winning world singles titles and Olympic gold in Rio. 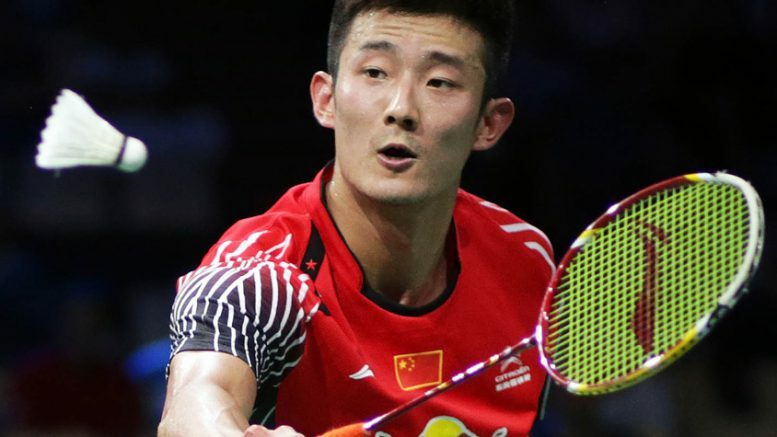 At the world badminton championships, Chen is only seeded fifth behind World No.1 Son Wan Ho, veteran Lee Chong Wei, Denmark’s Viktor Axelsen and Shi Yuqi. And the 28-year-old also has a tough draw., with arch rival Lee Chong Wei looming in the quarter-finals. Lee Chong Wei, who will be 35 in October, won his fourth All-England Open title this season and the hope for Malaysia is that he continues in the game until the next Olympics, and wins the elusive gold medal in Tokyo in 2020. Lee took silver in Beijing 2008, London 2012 and Rio 2016. South Korea’s Ho, the new world No.1, spearheaded his country to victory in the Sudirman Cup in May, and winning the individual world title in Glasgow is his season’s priority. “It is my target for the year,” confirmed the 29-year-old, who has never gone beyond the quarter-finals. Lin Dan, the five time world champion, is seeded seventh this year, and he could be classed as the opening round villain as his first opponent is Scotland’s No 1. Kieran Merrilees. Lin has happy memories of Glasgow. He led China to the 2007 Sudirman Cup triumph at the nearby Scotstoun Centre – ten years on and he remains one of the stars of the game. Marin meanwhile is seeded third in the women’s singles which is missing world No. 1, Tai Tzu-ying. The Taiwan payer is competing in the World Student Games in her home country. Heading the seedings are the respective world No. 2 and 3, Japan’s Akane Yamaguchi and South Korea’s Sung Ji Hyun. All the top seeds have a bye in the opening round. Marin has already tasted success at the Emirates Arena, winning the 2013 Scottish Open and her relative lack of success this season, resulting in a drop to No.4 in the world, does not affect her confidence. “I always focus on a single tournament,” said the 24-year-old, indicating that Glasgow 2017 is the one. The gold medal triumph in Rio has made Marin one of the most famous sports people in Spain – and her ability to peak at the right time could help add to her legendary status. Yamaguchi is just 20 years old, and has been a member of the National team for six years. The women’s singles has been the most competitive event at recent world championships, and it could be the same next week. Asia dominate the doubles seedings. China’s Lu Jinhu and Liu Wuchen are favourites in the men’s doubles, Japan’s Misaki Matsutomo and Ayaka Takahashi are top seeds in the women’s doubles and China’s Zheng Siwei and Chen Qingchen head the mixed rankings. Be the first to comment on "Chen Long, Carolina Marin favourites for gold at World Badminton Championships"